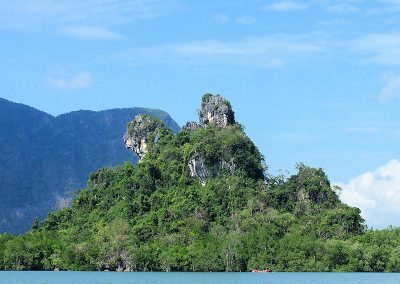 Phang Nga Bay is an exciting excursion where you explore beautiful views of stunning limestone formations and many different islets around Phang Nga Bay. It is here you can experience the biggest most natural Mangrove forest of Thailand. 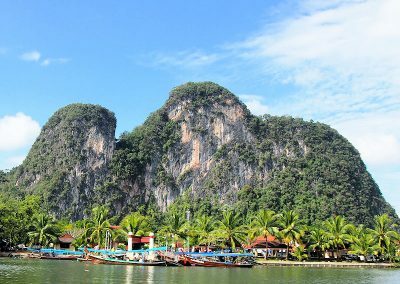 Phang Nga National Park covers 42 islands each with more than 400 square meters of landmass such as Hong Island, Panyee Island, Khao Phing Kan, James Bond Island, Khoh Khao Tao, Koh Pha Nak and more. 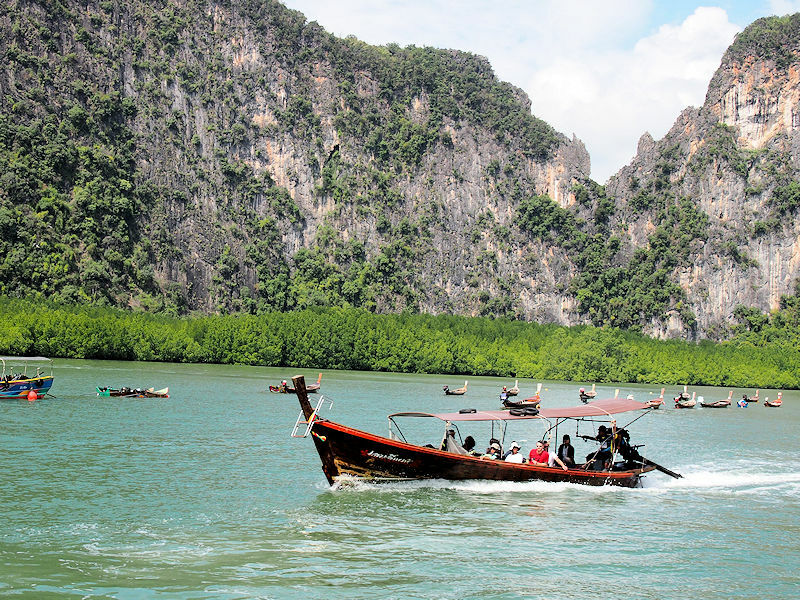 This mangrove forest is the perfect way to begin the sightseeing tour in Phang Nga Bay. Steady sailing in a long-tail boat, going through the mangrove forest while feeling the fresh air and seeing the ecosystem of a mangrove forest up close is exhilarating. 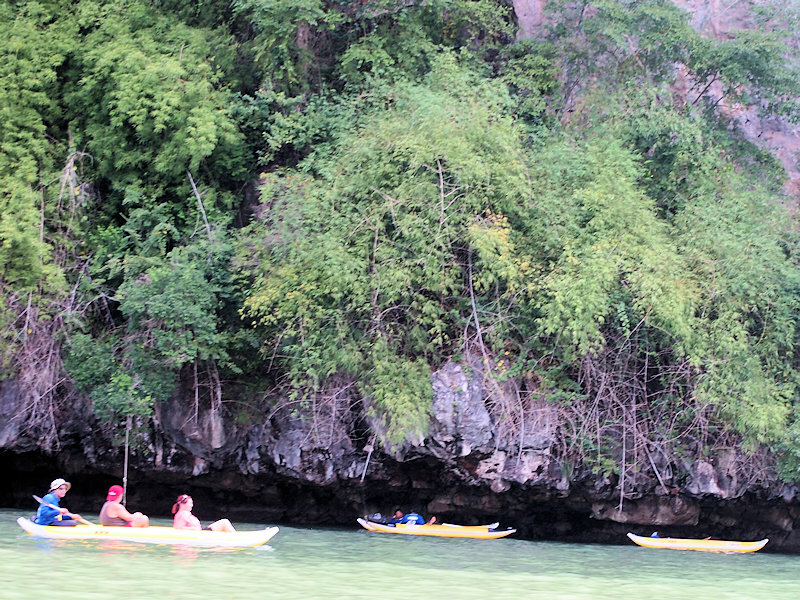 Getting up close to the amazing Thai nature in Phang Nga Bay is an unforgettable experience for all ages. In the long-tail boat we always carry refreshments like snacks, fruit and soft drinks you can enjoy. Tam Rod looks like a big natural gate where long tail boats can sail through from one side to the other. The Tam Rod gate is full of stalactites and looks like different characters throughout. 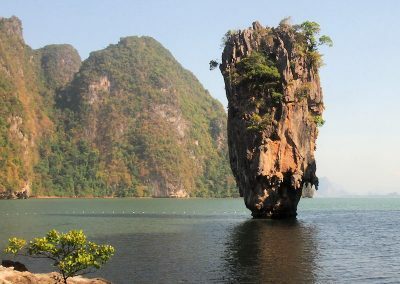 After James Bond Island we departure to go into the Ice Cream Cave on Pha Nak Island. 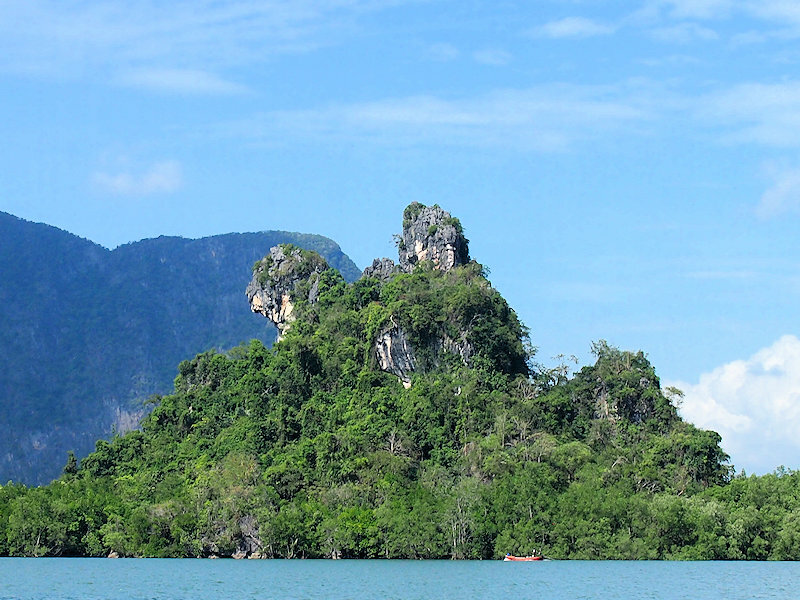 The island and the cave is a very quiet area of Phang Nga Bay as not many people get to go here. We get out of the long-tail boat on the small beach and we walk up on the 6 wood steps to get into the cave. This cave is quite dark so everyone will carry a torch to be able to discover the cave. 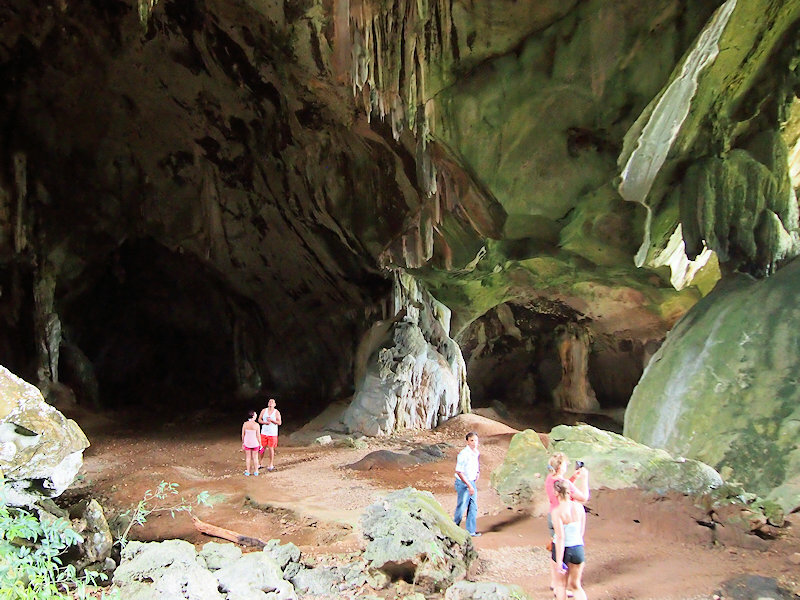 The cave consists of many stalactite and stalagmite formations with many interesting shapes. Some look like curtains or as melting ice-cream depending on how our imagination sees the shapes. We walk to the end of the cave, it is quite big, at the end there we look out of a hole in the wall, it is shaped like a natural window, and we are looking down at a beautiful green lagoon below us. Hong Island is where we get into the canoes, a local will paddle and control the canoe so that you have your hands free to take photos. 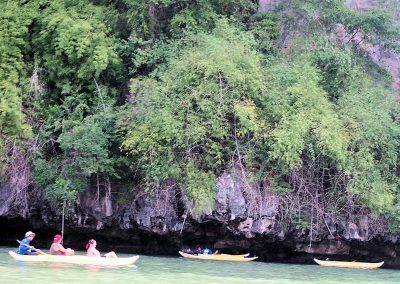 We canoe for more than 30-40 minutes in and around Hong Island. There are many areas where we arrive around Hong Island that will amaze and make you think about the wonders of nature. 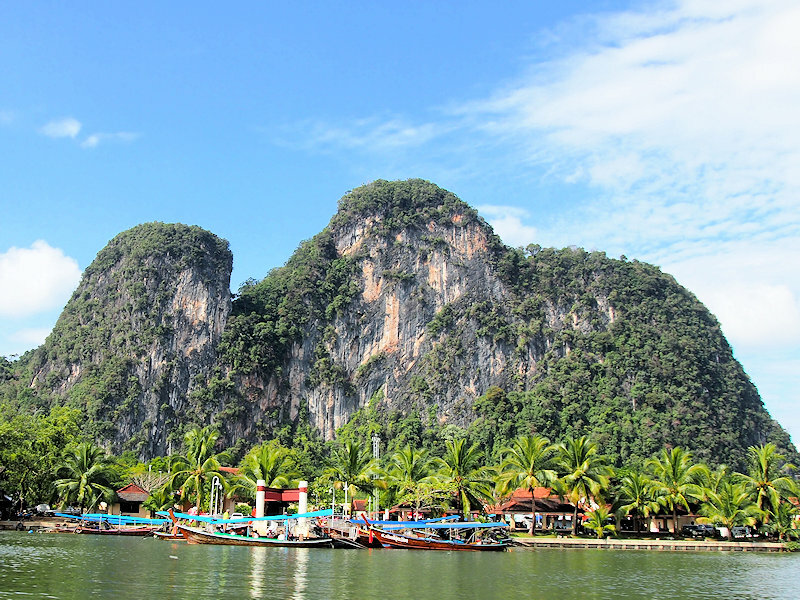 Koh Panyee is almost as famous as James Bond Island, it is a fishing village built on stilts. In the 18th century it was populated by fishermen from Java. Today there are around 4000 people living on Koh Panyee. There is a mosque and a public school on the island. In 1986 the children were inspired by the Football World Cup in Mexico, they got together to collect scraps of wood and old fishing rafts and built a floating football field. Today Panyee FC is one of the most successful youth football teams in southern Thailand and the floating football field has been modernized. Please fill out the form below if you wish to go on the Thai Village Excursion. 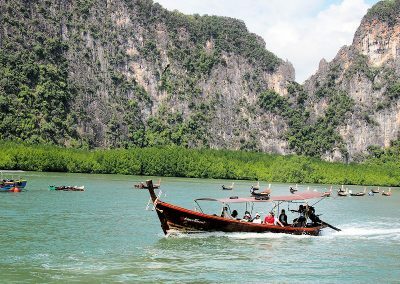 We go to Phang Nga Bay every Tuesday. The day you would like to go on this tour. This video is not NGA Travel property, things you can experience at Phang Nga Bay.